“Tell everyone to go to hell. 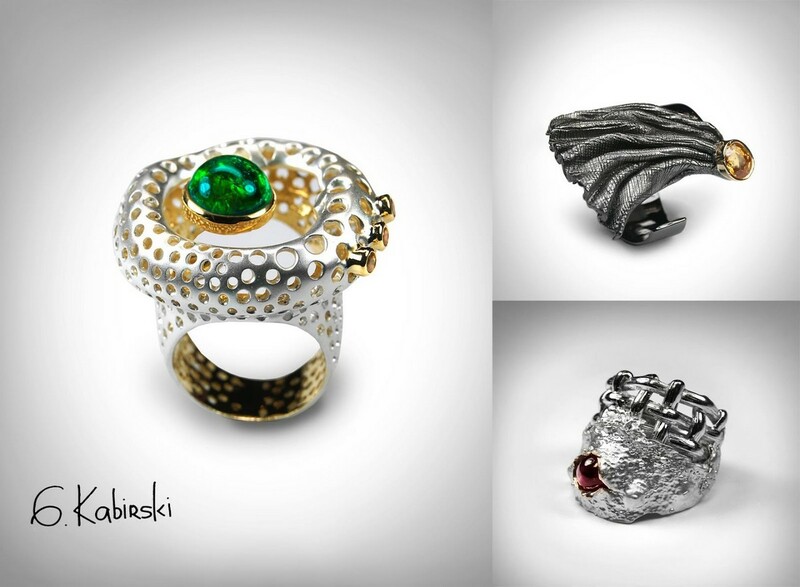 Don’t listen to anyone else, only yourself, and polish your technique as your own vision,” advises master jeweller German Kabirski. And that is just what the world-renowned, somewhat unhinged, artist has done: he’s thrown away the rulebook. The freak (as he calls himself) visionary has created a world without walls. 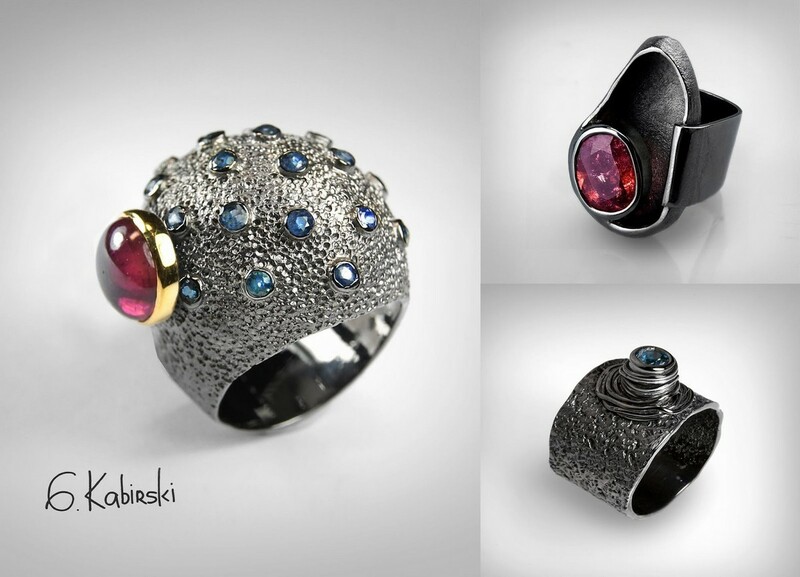 Kabirski was born in 1964, in Kabir, a small Lezgi village in Caucasus region of southern Russia, and raised in Moscow. From a young age Kabirski enjoyed drawing and doodling in his art books, but the family hardly appreciated these interests as they were all doctors and much less right-brained, wanting him to focus on more practical skills. Kabirski knew he would succeed in whatever area he ended up choosing. Art being his first love; he went to art school. Only a year into the program he went to the director and asked, “Could you please look at my work and tell me if I am going to be a great artist?” The director laughed, “We don’t have ANY great artists in our school.” “Until now,” stated Kabirski, leaving the school, and dropping the program completely. 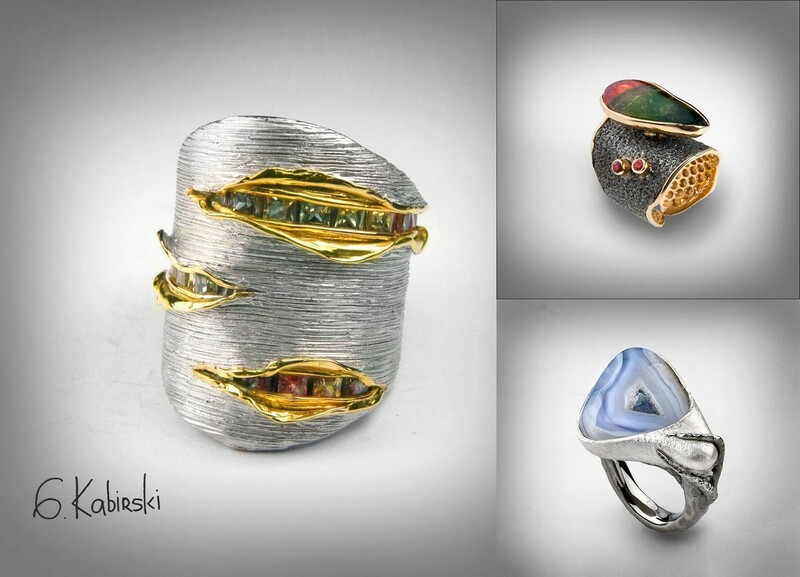 In 1996, Kabirski opened a small commercial jewellery factory. 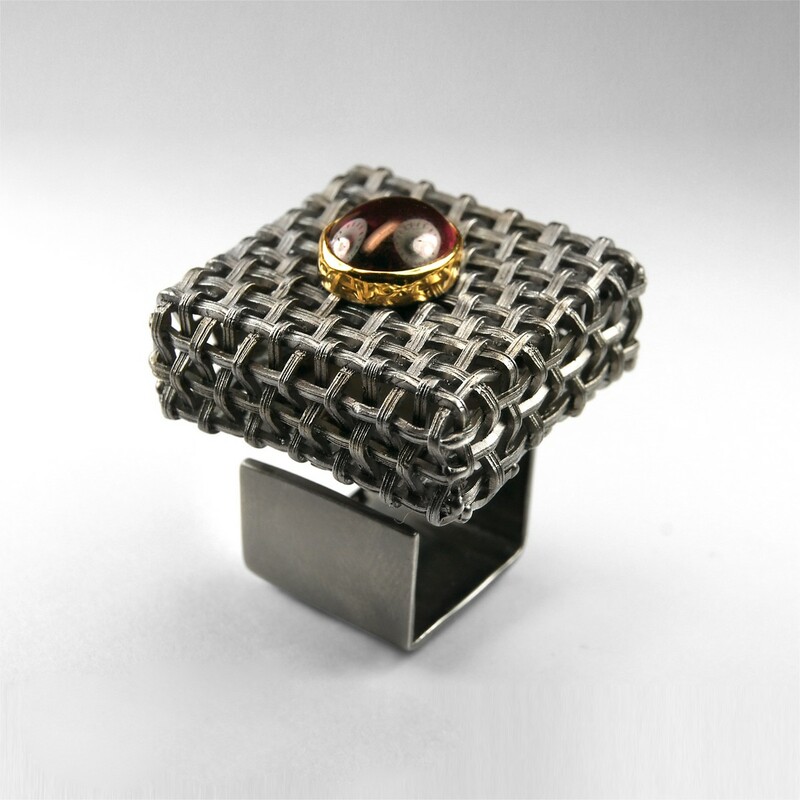 Producing simple and generic pieces, he started experimenting with jewellery for the first time. During his time at the factory, he became disgusted with the same clean designs; nothing was special or new. His experience compelled a desire to completely erase the generalization and start anew by creating jewellery totally opposed to norm. In all areas of life, Kabirski is experimenting and trying something new or in a different way. He never had any teachers. Through online research, trial and error, Kabirski learned everything he knows. 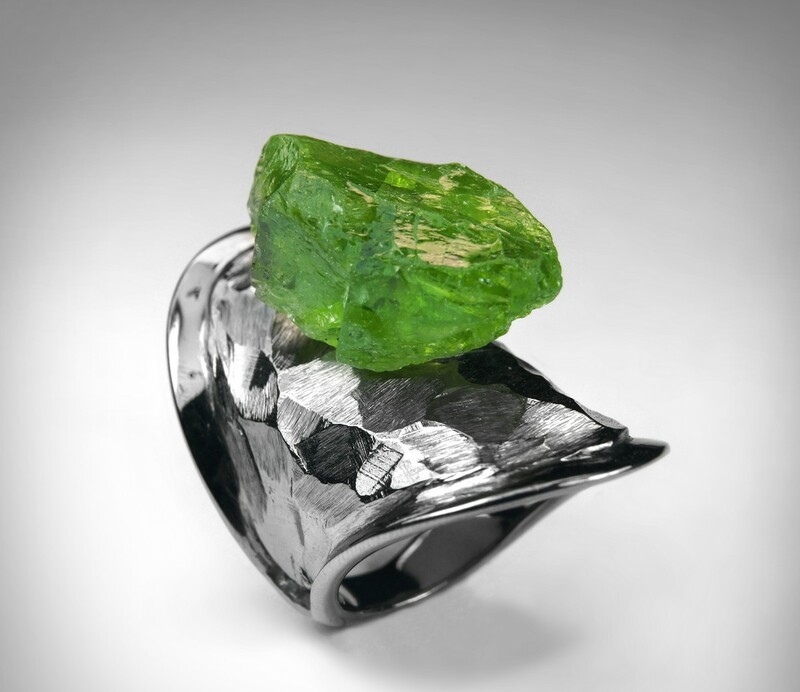 His goal was to, “do something that no one has ever done before.” He knows each step of the creation of his pieces as intimately as the back of his hand – he grew up with that hand, he developed these processes. Casting, waxing, polishing – they all go through his hands. Every intrinsic detail is born of his imagination and passes through to life, by him. 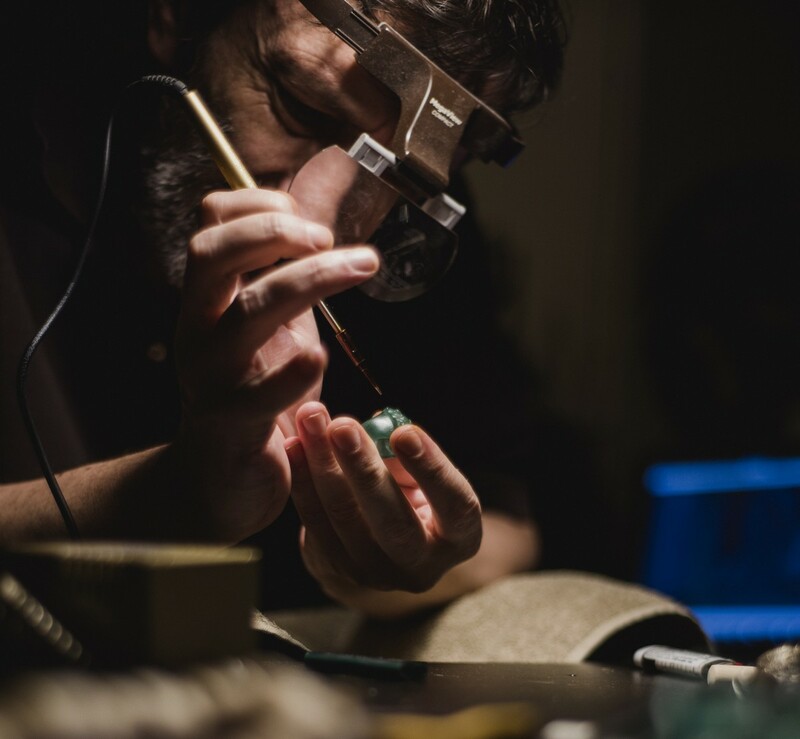 As in any trade, there are rules in jewellery making and Kabirski’s goal is to break every single one. Go against the flow and find something totally new. 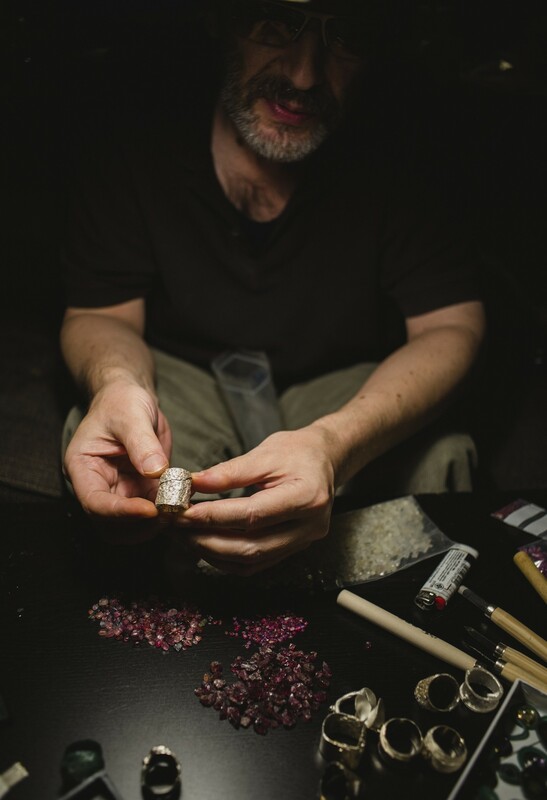 An accident in his 20’s left him unable to sketch his ideas, so his jewellery comes to life in his hands. No pre-planning. At times, he creates straight from the metal rather than wax, but with wax, he chooses what metal to cast it after he forms the mold. 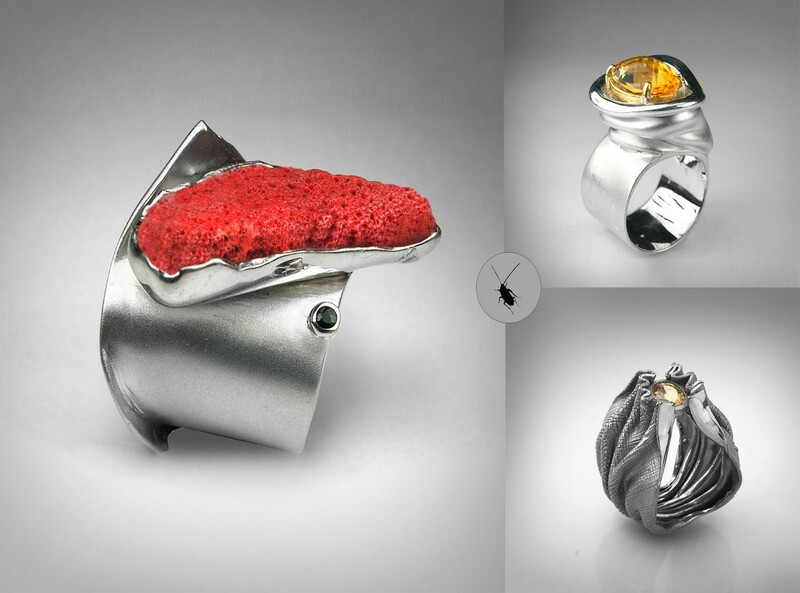 Kabirski generally uses silver, as he doesn’t want his rings to be too expensive. His rings are affordable and wearable. Sometimes they are big and and quite impressive, but when you slip one on your finger, it is surprisingly comfortable. 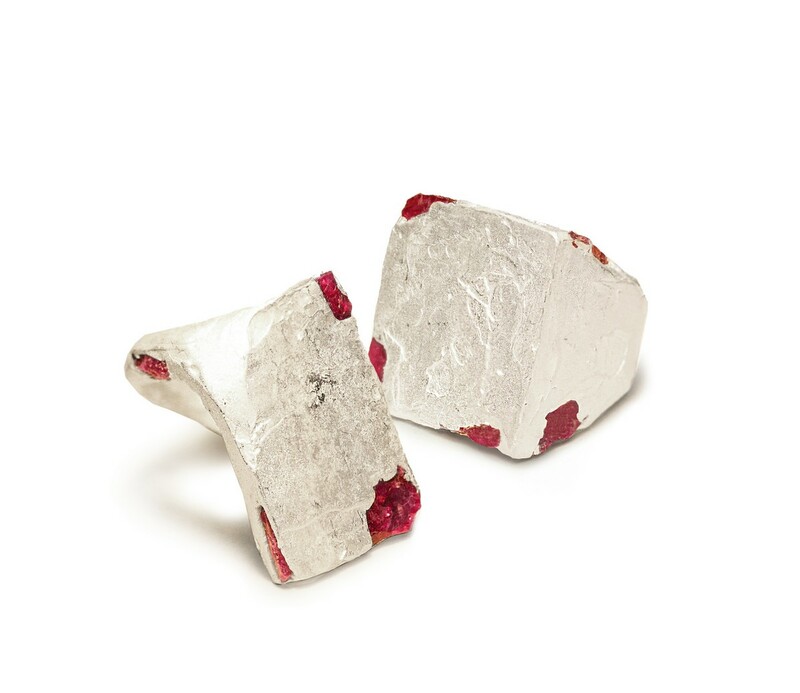 Right now, Kabirski is experimenting with mixing silver and stone, casting silver with rough stones inside the metal. He strives to view the process and the pieces from nature’s perspective, not humanity’s. He never looks at the works of other artists, not wanting to be influenced by what they are doing. 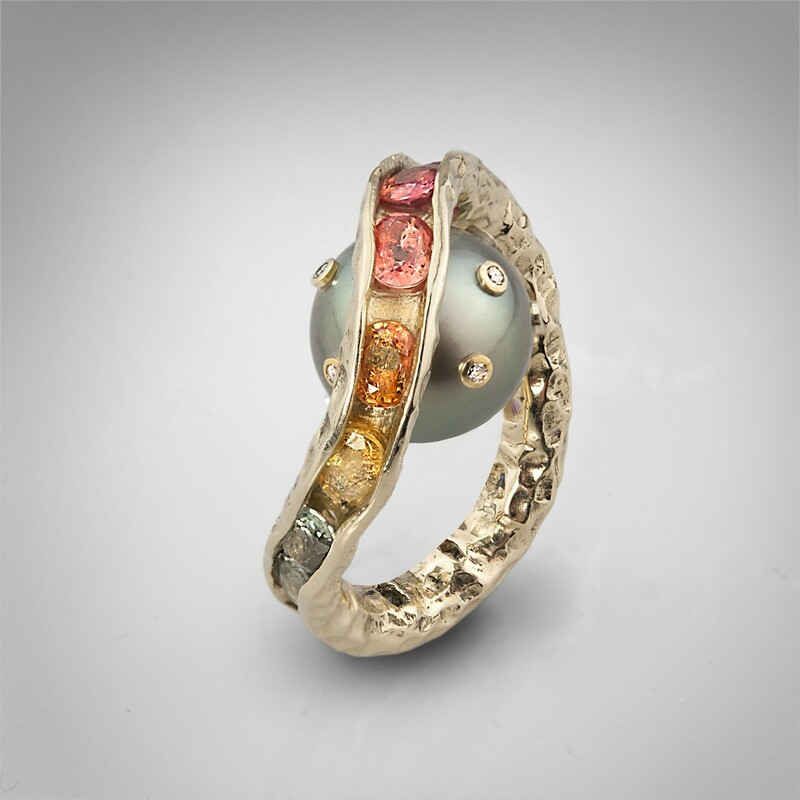 Instead, he wants to cancel out all the ‘beautiful’ polished designs now saturating the market by creating what is raw, rough, and natural. Cirrhosis of the liver, caused by hepatitis C, left Kabirski on his deathbed just over two years ago. He packed and moved to the warm comfortable climate of Thailand to die. 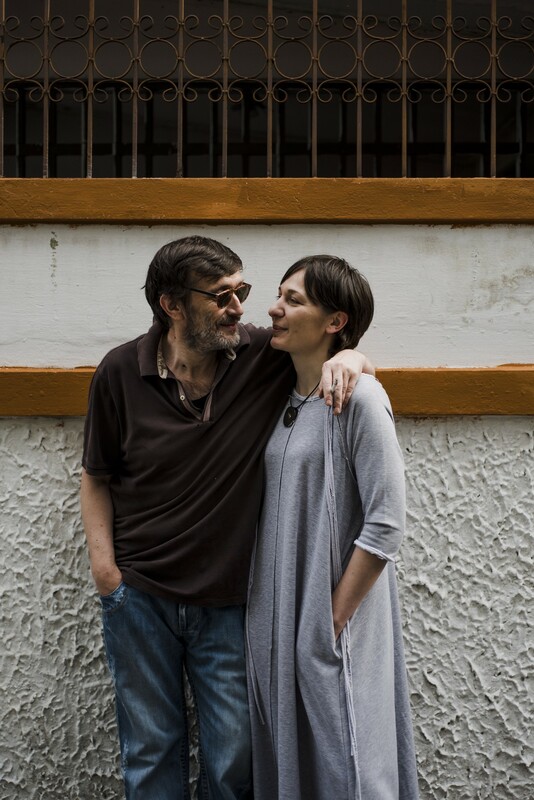 But, life for this ingenious man was not over yet, not only did he happen upon a surgeon who rushed him in for a liver transplant surgery, giving him a second go, he met his new beautiful wife, Tania. They now live with their children in a comfortable home in Bangkok, with chickens, hamsters and a jewellery shop. An introvert, Kabirski thrives in his own creative cave alone. 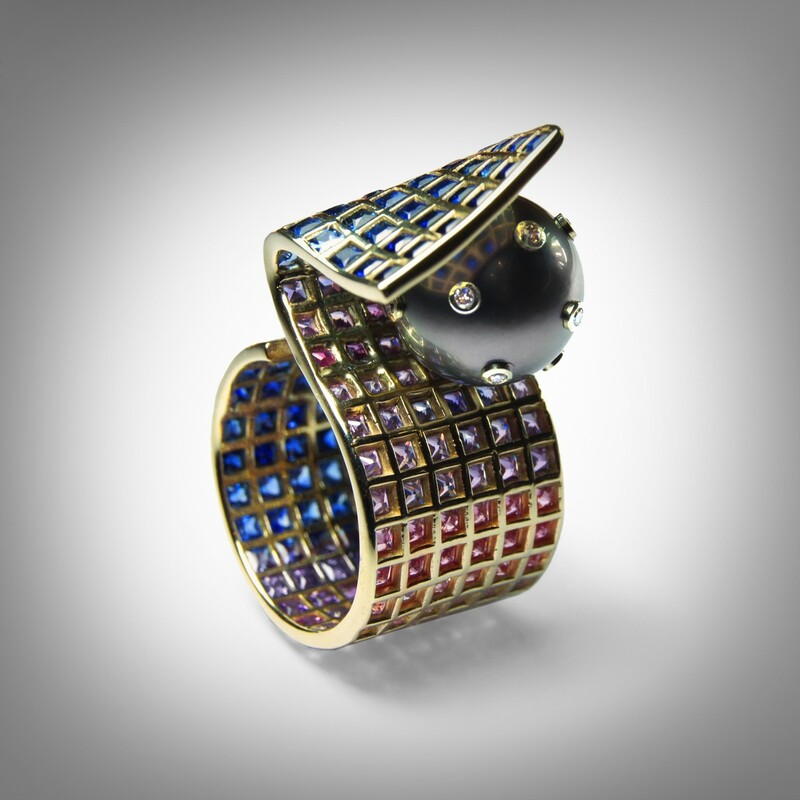 He doesn’t like to go out often or to express his emotions, so creating jewellery is his therapy. All he is goes into his pieces. Creating for other people has never crossed his mind. Kabirski creates for himself. He never considers what people would like, what they would be more inclined to buy, or what will be most successful. He simply does what interests him, producing what is original and satisfying. Of course, he doesn’t mind people buying his work, but doesn’t accept commissioned pieces or custom orders. Even if he needs money, he refuses to take orders. He fears that if this happens, he will lose what he values most – his inspiration. “I am not the owner of my work. I just give birth to the pieces and they go on their journey.” For Kabirski, each piece of his art only reaches its full potential when it finds the hand of its true keeper.